Oy, oy, oy, what a tragedy what a terrible tragedy. 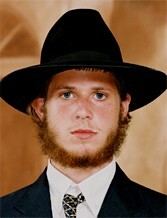 Choshuva Yidden, not just Stam Yidden, slain in the cruelest way while standing Davening to Hashem. It could theoretically happen to any one of us, Chas Vesholom. The sight of the bodies full of blood wrapped in their Talaisim and their Tefillin, Tzaddikim slaughtered in front of the eyes of their friends, what could be more tragic than that? But everything is a message to Am Yisroel, and this too is a message. This too is a message that we have to try very hard not to ignore. We have to try very hard to understand every aspect of the message and perform what we have to perform, to do what we have to do. Let’s discuss it. These giants that were killed, these Tzaddikim that were killed only because they were Jews and for no other reason, wrapped in their Talis and their Tefillin in the middle of Davening to Hakodosh Boruch Hu, these Tzaddikim were taken to be Mechaper on the Aveiros of Am Yisroel. If however we don’t understand what Hashem wants from us, why He did this and what it means, then we are going to be in a very tragic position. This is a sign that we are not Beseder. This is a sign that we have to do Teshuva. This is not a sign that everything is ok. Hashem is not telling us, “You’re really being good and that’s why this happened.” No we are not being good as a whole, and we have to do Teshuva. We are living in mixed up times, and these Korbonos, and I Daven to Hashem there won’t be any more, but these Korbonos came to give us a very clear message. What is the base of Yiddishkeit? 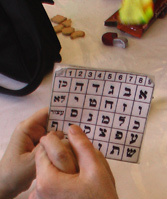 Kedoshim Tihu. Look around us. Are we Kedoshim? Yes you can say that we Daven. Yes we go to Minyanim on time, more or less. Yes we put on Tefillin and Tzitzis and Talis and whatever we are required to do every day. Yes we try to keep more or less the Halachos of every Yom Tov, of every Shabbos etc., every aspect of Jewish life. However we are failing. Why are we failing? Because we are doing everything superficially, not everyone of course, but the society has become a superficial materialistic society. The Yidden that live in the area where these murders took place are known for their Chessed, for their learning, for encouraging the most important aspects of Yiddishkeit. However Har Nof is also known in many instances for being extremely modern and easy on certain Dinim, for example on Tznius. It’s also an area that has all kinds of Yidden living there Sephardim, Ashkenazim, and Litvish and Chassidish. There are great Yeshivas of Litvisha boys and also Yeshivas for Chassidim, and Sephardi Yeshivas, all kinds of Yeshivas. However the superficiality of many of the Yeshivas, not only there but everywhere, has made Yiddishkeit extremely watered down. We give in to the whims of the children of this generation because we ourselves are caught up in the toys, in the adult toys of iPhones that have become so “necessary” to our lives. Many of the people that live in this area are Americans, and the Americans have brought their way, their style, their goals to this area as well, and to all of Eretz Yisroel and the world. This area has many Tzaddikim. There are many Yidden living in Har Nof and it’s only an example of all of the Chareidi communities in Eretz Yisroel and the world. Its only one little sliver of the way of life that many, many so-called Frum Yidden have chosen to live, and these Tzaddikim that were taken were different and therefore they were chosen as a Korbon Tzibur for Am Yisroel. Now let’s see where we are lacking. The first place that screams out to all of us is the Tznius. The Tznius all over the world for Am Yisroel for the Chareidim has fallen to a great and new low. The Yidden that were in Europe at the time that the “enlightenment,” the so-called “Haskala” movement began, fell very low in their Tznius, and even though most of the Jews of Europe were incinerated in the camps, still the seeds of the so-called enlightenment moved out of Europe with the survivors, and even though many put on Shtreimels and grew Payos and beards, and even though many of the Kehillas were rebuilt, still that seed of Gashmius, of modernization stayed inside of many of them, and it was passed on to their children because the world became so materialistic, so rich that we could easily afford all of these toys, all of this superficial kind of life. We are all trying very hard to say Tehillim and to Daven and so on, but naturally this superficiality takes a great toll out of our true Yiddishkeit. It takes away the depth. We’ve become superficial and many, many Talmidei Chachomim and their wives are very interested in the materialistic side of the world, the side of the Egel Hazahav. The greatest evidence of this is the Levush of the women, the modern Jewish women. They could be Chassidish or Litvish or Sephardi. It doesn’t matter what. In every group it has taken a toll in a terrible way. The wig, the Sheitel, the Peah Nochris is a killer. It’s was made from horse tail hair in past generations in the very beginning when it was done Leshem Shomayim, or thin ropelike materials that they made their Sheitels out of which, were only for the greatest Tzadekeses, because most of the women just uncovered their hair, but whatever it was, it was Bide’eved, and now we believe wrongly that it is directly from the Torah which it is not. This uncovering of the hair which is to put on your head a beautiful piece of hair that is not yours, but that looks like yours, and makes you look unmarried, it’s in many instances so outlandish that I don’t know how any believing Jewish woman could dare wear this, or how any Avreich, a true, true lover of Hashem, a lover of Torah could ever let his wife appear in such a vulgar form of dress. But that is only the beginning. Once the head is covered like this, the makeup follows very quickly, even makeup that is absolutely forbidden. Then comes the tight clothes, which almost every other Jewish girl and woman dresses with tight tops, open necks, tight and short skirts. Some are shorter. Some are a bit longer. Some are a bit wider, but whatever it is the body form is seen completely and even often embarrassingly complete. That doesn’t seem to bother anyone, it doesn’t bother anyone at all. We just go on like this and it gets worse and worse, worse and worse. We test our husbands and our sons in the worst way, and when they fail we make excuses for them. In the Yeshivas they overlook many, many important things. The Yeshivas are full of boys that have no real idea what Kedusha means, how important it is, and what a big Aveirah it is if they go against it. They have absolutely no idea, because the Roshei Yeshivas very often ignore these things because it’s so prevalent. A boy can learn wonderfully and still have a problem with his Kedusha, and many people will laugh at you if you’re Shomer Einayim because that’s ridiculous, and you look so silly if you put on glasses that are made especially so that you cannot see farther than your nose in order not to be aware of all of the spiritual filth in the street. Of course if you are obviously Shomer Einayim, people will think that something is wrong with you, and you just become a joke, and for sure can’t get a Shidduch. Yes, we’re in big trouble. We think white is black and black is white, and no one realizes that red is forbidden. I want to tell you that this is our main problem, and once we have this problem then we have other problems, like problems with Kashrus because we are so superficial and so into materialism that food is so important to us. It’s not just to live. It’s to enjoy beyond belief, and therefore we are looking for restaurants or recipes or whatever constantly to feed our Kishka, and once we fill up and get a little bit heavy, then we have to diet, and once we diet then we cheat, but we diet. This dieting and cheating and dieting and cheating is so crazy. It’s not what Hashem wants from us. He wants us to eat in Kedusha. He wants us to take the food and make a Brocha over it and thank Him for it because it’s nourishing our bodies. Of course, we are allowed to enjoy our food but we don’t have to be gluttons. We don’t have to lust after food, and that is what is happening in this world. All of these parties and these Bar Mitzvas and these Chasunas, with their outlandish food brings us down. I’m not saying that everyone is on that low level, but many are, and many of the people that we admire the most, because they have the most money and they are the ones that give to the Yeshivas and build them, they are the ones that set the style and the tune, the tune of this dance of this macabre, terrible, frightening, scary, sad dance the dance of the Gashmius, the dance of the dead. I will go on to other things. We’ve talked about clothes and we’ve talked about the modern way of life. Food is one example, but then we have problems with the food which is called Kashrus, because we need so much of it, and it is hard to bring in from wherever they get the food enough to satisfy the needs of our gluttonous society. Any Hechsher that has too many customers is likely to make big mistakes and take many shortcuts, and any Hechsher that gets too rich is going to be so rich that they’ll be afraid to lose even one customer, and there are many, many problems like this all over the world. We are in a very bad situation. In many instances we are eating Mamash Treif, Shelo Neida. Yes we Daven, but we want our Rabbonim to tell us what we want to hear. We want our Rabbonim to make Yiddishkeit easy. There are Heterim which were never given before, only in times that Yidden were so weak that they couldn’t even fast through a Tisha B’av. We are that generation, the lowest generation ever, but we have the ability to rise the highest. Therefore, I beg you Am Yisroel. Yes you have cars, and yes you have air conditioning in your house, and yes you have and all kinds of electrical things that will help you, but don’t forget one day Hashem is going to pull the plug. There will be no electricity. There will be no light. There will be no air conditioning. There will be no car. There will be no nothing, just you and Hashem, and at that moment you are going to have to give Din Vecheshbon. At that moment you’re going to be so frightened you won’t know where to go. At that moment you’re going to try to find Hashem, but you will have been so detached from Him, even though you thought you were close to Him, that you won’t know where to go. You say Tehillim and even cry. You stand in Shmoneh Esrei with your skirt just about at your knee, showing your whole figure top and bottom, with your long fancy Sheitel and you cry and then you realize, oh your make up is running. You better stop crying. That is the worst thing you could do. 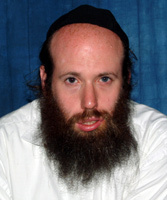 I beg you, Am Yisroel. Wash your faces. Take off your Sheitels and put on your headscarves, your Tichels. Lengthen your skirts and widen them. Better than that wear a dress. Cover yourselves completely. Daven with clean faces. Treat your husbands with respect. Do what you have to do as a wife, always with Simcha, as a wife and as a mother, as a true Jewish mother, and you my dear Talmidei Chachomim, be real Talmidei Chachomim. Stop talking politics all the time. Stop trying to decide which of the Gedolai Hador are the best, and nix the ones that you don’t like. Stop trying to go and ask Shailos and get the answers that you want, because unfortunately you will get the answers that you want, but I don’t know if it will be the right decision. Stop looking for wives that other men are going to look at, and please try to find Hashem. Try to find Hashem. There are groups of Yidden that are doing this now. Join up with them. Get rid of all the superficialities in your life and come close to Hashem, Its not easy now after you have lived in a Disneyland so long, but now is time to get serious, because we’re at the end. We are very, very close to the end. You better get serious. הישארו מעודכנים תמיד מה חדש באתר. Stay tuned always what is new.